The weather is getting cooler that means it's time to break out the warm fuzzy blankets and soft cozy pillows. This pillow project was one of those great ideas I had every intention to do a long time ago, and just finally sat down and finished. 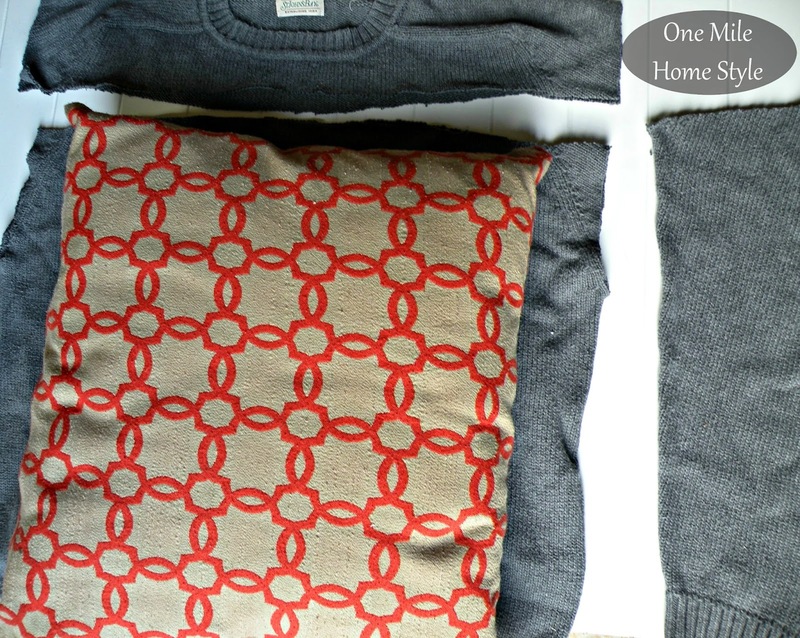 Here is what you need: a sweater from the local thrift store, an old pillow to recover (or a new pillow form), yarn in your choice of color and a needle large enough for the yarn. 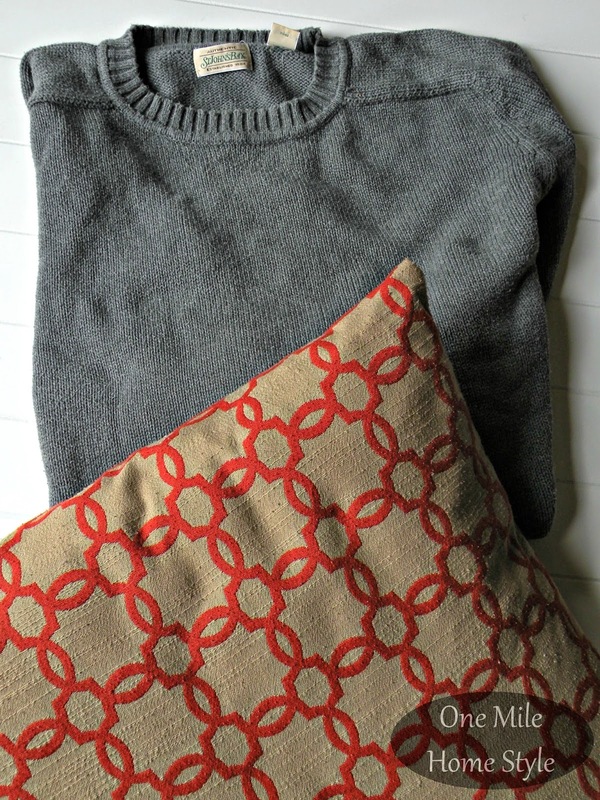 I think this pillow is about 20x20, so I used a men's large sweater. After washing it, I cut the top and sleeves off, and also cut a couple of inches off one side (this will vary depending on the size of your pillow and the size of your sweater). So, when you are done cutting, you will have one side that has not been cut and three that have. Then you just sew, and sew, and sew to your little heart's content. Using a blanket stitch, stitch two of the open sides closed and then slip your pillow inside. 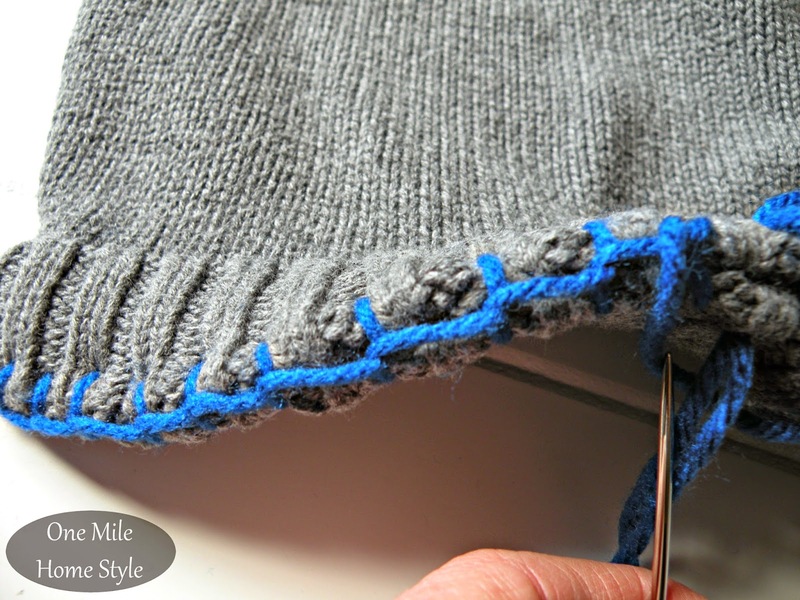 Stitch the third open side shut and then just continue your blanket stitch down the seam on the closed side. Using a decorative stitch gives you the perfect opportunity to bring in a fun accent color in a small dose. (There are all kinds of tutorials on how to do a blanket stitch if you don't know how. It's super easy once you get going!) I love using this stitch on these pillows, there is no need to make it perfect, it just gives the pillows that awesome handmade touch. All done! 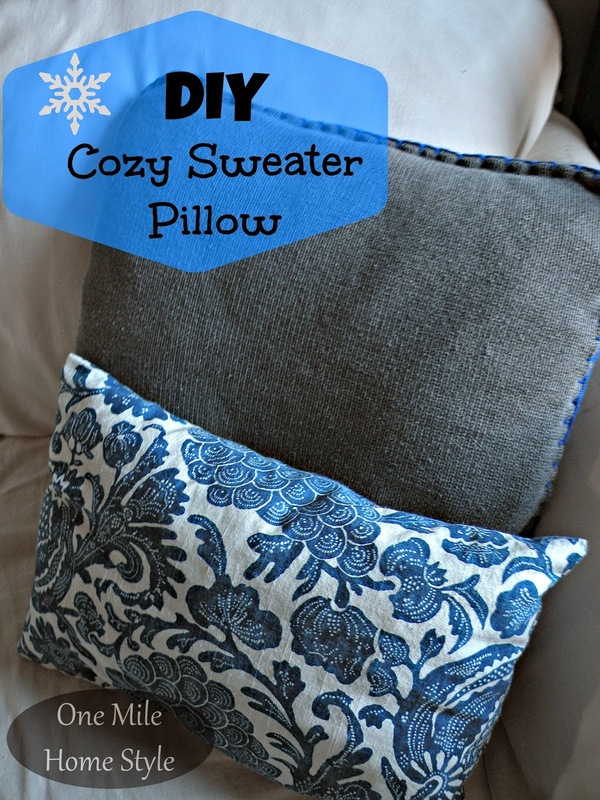 I did this grey pillow and a white one, both with the royal blue yarn. They are just a perfect little cozy touch on the couches, and they coordinate perfectly with the other pillows. So, what are you waiting for? Go out there and get crafty!! 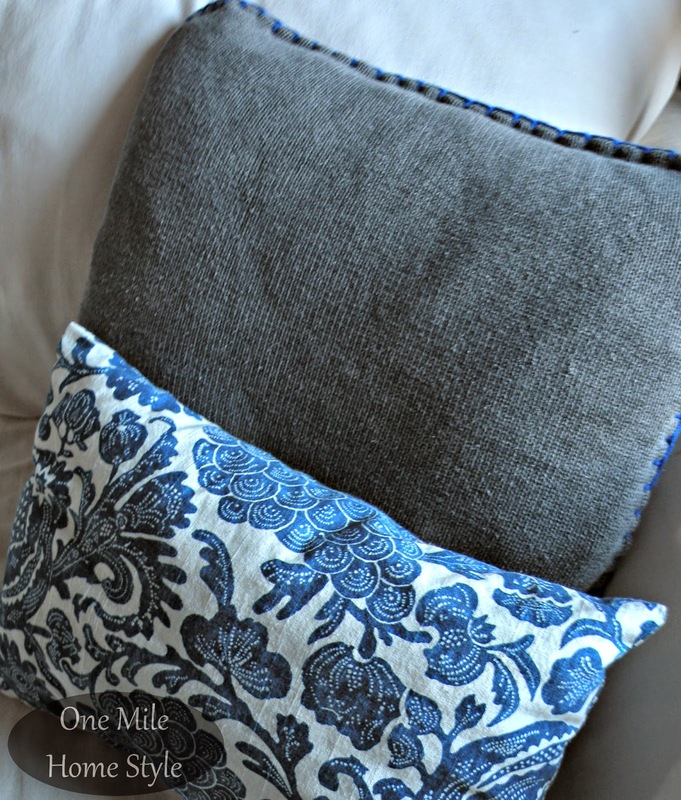 What a great way to update a pillow cover! Thanks for sharing your idea. I'm looking forward to giving it a try. Thanks for stopping by Nancy! You should definitely give it a try! I was actually planning on making some of these this week, so cozy and cute! I have plenty of old sweaters I could cut apart for this.